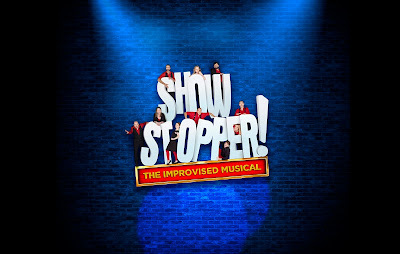 A hugely entertaining mix of improvisation, comedy and musicals melded together into a fun evening at Newcastle’s Northern Stage for the first, hopefully of many, visits by the Showstopper Musical Improvisation team. They had already performed a kid’s version in the afternoon and now they were fired up to entertain a full crowd in stage one. The programme highlights that the cast comes from a pool of 16 actors and 6 musicians. Using a pool of talent will help randomise the outcomes of the show each evening. A red phone rings. It’s Cameron and another theatre is in the dark and needs a new musical written tonight. Can we create a musical by the half nine deadline? Is the audience up to coming up with enough workable suggestions to create the next west end hit? The first suggestions come in for a location. Someone called Ben says Mars. Another person also called Ben comes up with North Korea. This is a crucial moment for the evenings success. The funniest thing about North Korea is the very suggestion of North Korea and so it is binned. Brexit and Trump are also not happening tonight. It is this clear direction that will help the evening’s performance to succeed. Having witnessed improvised shows struggle because of a lack of filtering of the initial ideas, it was clear that Stopstopper wasn’t going to fall into the same trap tonight. Sean McCann was a very safe pair of hands to MC the proceedings, stepping in when necessary for clarification, further suggestions or to point out to the cast that Whitby is not the same place as Whitley Bay. After a vote we find ourselves creating a musical about Greggs and sausage rolls. We had a cast of 5 plus Sean McCann to convey the ideas. Fortunately Sean knew the area so could respond appropriately to the parochial suggestions from the audience. After an initial opening number about working at Greggs, the first audience style suggestion of the Proclaimers’ musical Sunshine on Leith was deployed to introduce the characters. Andrew Pugsley was to be the Gregg “with a double g, three g if you count the first” who owned the Whitley Bay Branch of Greggs The Bakers where the sisters, performed by Lucy Trodd and Susan Harrison (who would also double up as Mrs Gregg), served the customers with their pasties. To add some love interest, and some great little sub-plots later on, Justin Brett and Philip Pellew became Greggs two sons Harold and Percy. This was also an opportunity for Andrew Pugsley to sing about how disappointing it was to have 2 middle aged sons still living at home in the style of The Book of Mormon. When Gregg arrives at his show with his sons the lads immediately strike up a friendship with the two shop staff – but as this is a musical, it happened in the style of South Pacific. The first act was brought to a rousing climax with the cast rapping along Hamilton style. The audience were told to send suggestions for act 2 via Twitter. Sure enough, after the break a number of scenarios were reviewed with the audience including the return of Lucy Trodd’s impromptu seagull. Very quickly the action resumes with a Rocky Horror-style number. 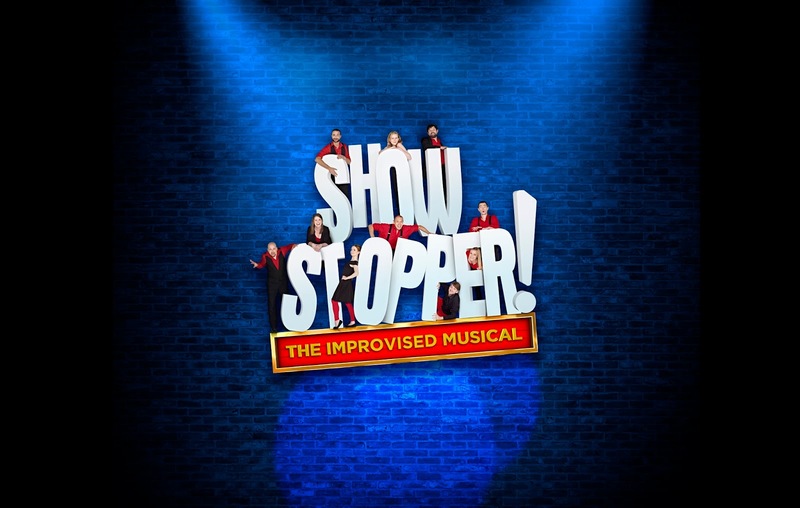 The show relies of the cast, including the musicians, having a clear understanding of both improvisation and of the various popular musicals that could be suggested. Is it totally left up to chance? Not really, I’m sure. The MC asks for clear suggestions and very politely weeds out the ones which are unlikely to work so the audience vote is from a vetted list of suggestions. The cast have a clear understanding of the basic structure of a musical. The big opening number setting out the situation rolls into the cast introductions and the “I want” song. Throw in a few tidy sub-plots and we get to a peak with the end of Act 1 cliff hanger. Act 2 untangles the sub-plots with a ballad or two before the initial idea comes to a conclusion. Having said that – despite having a clear structure, writing a successful musical isn’t easy and many are doomed to failure. You only have to ask the writers of Fame who worked with the producers of Les Mis to make the biggest flop in musical history (Carrie The Musical) up to that point to see it doesn’t always work. 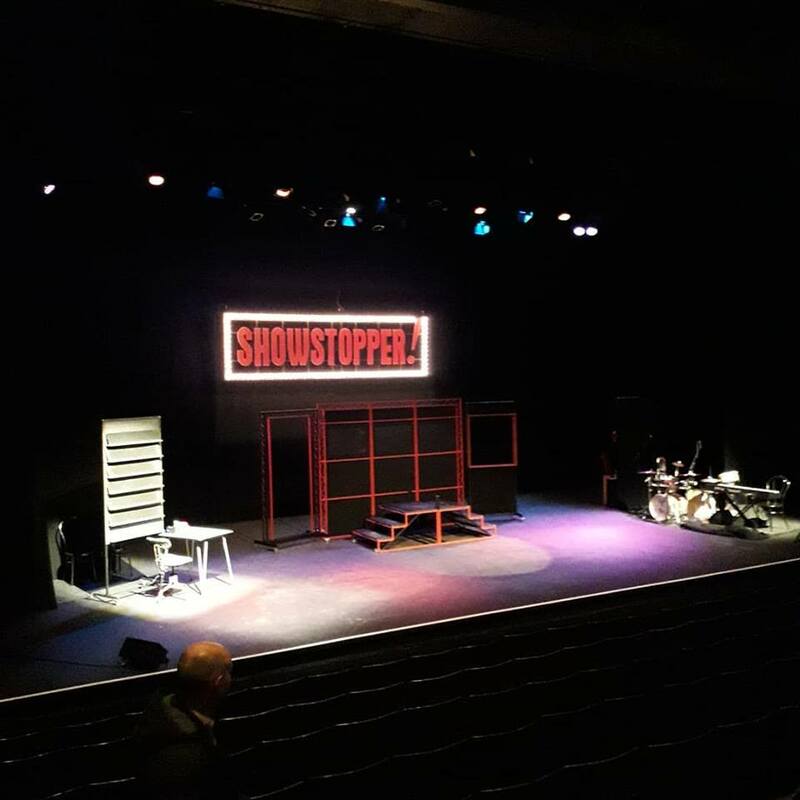 Yet, this evening, this team of 8 creatives pulled together a show that had the packed Northern Stage audience laughing throughout the 2 hour show. A mention too for the musicians Alex Atty, on percussion, and Duncan Walsh Atkins, on keys, who had to create and respond to the action on stage. Not only do they have to be able to respond to the audiences suggestions but the also added changes in pace mid-song to allow for soloing and thus it felt more like a musical than just a concert. A colour scheme of red and black was used for outfits, props and set which gave the show a uniform look. As is common in improv, some props had to be creatively used – bats became hot dogs and pompoms became candy floss. Was it for fans of Improvised comedy? Definitely. Was it for fans of musical theatre? Absolutely. And if you’re not a both of both improvisation and musicals then you still love this show for all of it’s twists and turns. Our hats go off to the cast for pulling off an entertaining evening. The best bit is that we’d happily see the show again, knowing it’ll be a different outcome each time. It is a shame that they were only in town for one night and hopefully they’ll return to the North East soon.